Blowing hot and cold: should more offences in rugby result in free-kicks rather than penalties? RUGBY’S LAWS, or more precisely the changing of those laws, have become a familiar subject for any rugby fan. 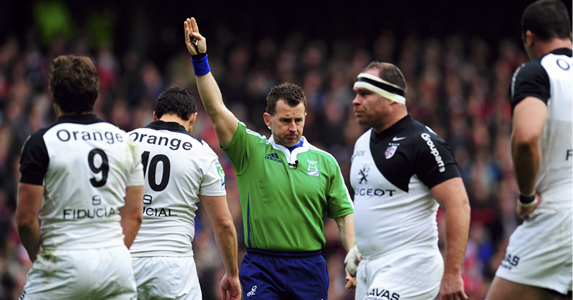 Indeed, regular debate of the game’s laws are at the centre of any self-respecting rugby club conversation. It’s usually neatly sandwiched in between choosing your ‘All-time XV’ or selecting an immensely biased Lions team. 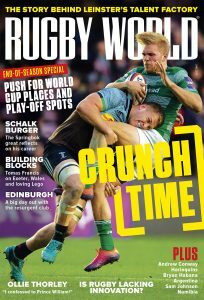 This season’s undoubted hot topic has been the scrummage, only briefly being upstaged by the tip tackle. The scrummage obviously requires urgent attention. What was once considered rugby’s centrepiece has become a pitiful sideshow that’s affecting the enjoyment and marketability of the game. The scrummage is becoming a case of touch, pause, dis-engage. ‘Double movement’ is in fact a rugby league term and a not a phrase associated with the laws of union. However, it’s how most union supporters refer to the offence of illegally placing the ball over the try-line when a player is declared as ‘tackled’ and therefore out of the game. Whilst awarding a penalty to the opposition for a ‘double movement’ may be one of rugby’s less common offences, it is without doubt the most unfair. After all, the offending player is simply guilty of a rush of blood, a lapse in concentration, a desire to achieve what is essentially the whole point of rugby: to score a try. The attacking team may have executed the most perfect 99.8 metres of rugby in the history of the game, yet having fallen 20 centimetres short of the try-line and attempted a double movement, the defending team is awarded a penalty and has the opportunity to clear. How can a player/team who is attempting to score a try, a positive discretion, be slapped with the same sanction as a team or player that commits a defensive discretion such as a high tackle, taking the man in the air or killing the ball at the breakdown? The punishment far outweighs the crime. Recommended change: Free-kick to the defending team. Rugby has become a very linear game. Running angles and points of contact have straightened over the past ten years – you could map out most professional running lines on an Etch-A-Sketch. It is for this very reason that penalising the act of crossing is such a travesty. Few teams cross intentionally, it’s usually the by-product of a creative backs move being mistimed, overrun or an innocent miscalculation. There is often little benefit to the attacking team in deliberately crossing, as blocking one defender in the modern game has limited impact, particularly from first phase, where most defensive lines tend to double tackle – why block one tackler when another is a matter of inches away? Yet again, an often positive discretion receives the same sanction as a negative one. The quick tap penalty must be the most inappropriately named act in rugby. The whole premise is that it allows the attacking team to penetrate the defensive line before it has had time to realign, which is now more important than ever. However, the manner in which you have to take a quick penalty negates its very benefit. Having to deftly drop an oval ball onto your foot and then flick it back into your hands may sound simple, but it isn’t, particularly when you’re moving. It’s a real skill and requires good dexterity and coordination. It’s also a lot easier to execute if you have short limbs – the closer you are to the ball, the easier it is to perform. It’s no coincidence that quick taps are generally instigated by scrum-halves – statistically the smallest players on the pitch. Luke Charteris, for instance, will always struggle taking a quick tap; flicking the ball from his boot and back into his hands is essentially like doing an ‘up and under’! Even the world’s finest scrum-halves have trouble executing the quick tap at speed. The easiest solution is to change the manner in which the quick tap is taken. Instead of bouncing the ball off your feet, the ball should be bounced off your chest. The distance between hand and ball is reduced to inches instead of feet and significantly minimises the chance of a knock-on. 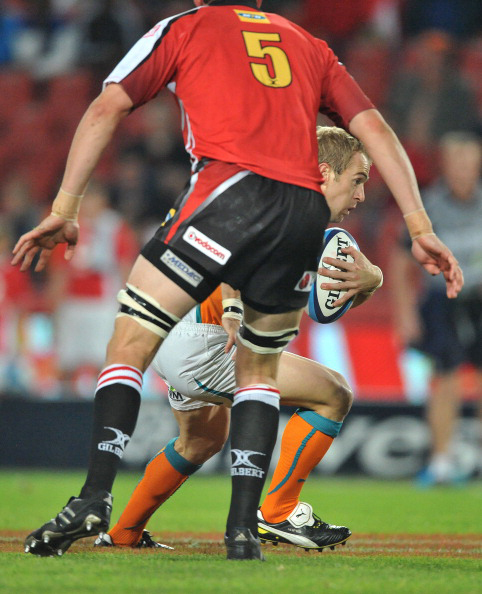 It also means that players with more limited skill-sets are able to take the quick tap, not just the scrum-half. The effectiveness of a quick tap is often minimised by players with limited skills having to pass the ball to a more able player so that they can take the quick tap. Recommended change: Quick tap to be taken using the chest not feet.